Whether it’s your sister’s, best friend’s or cousin’s birthday coming up, the chances are you want to give her the best day. The most important thing when it comes to birthdays is thinking about the birthday girl’s likes, to get an idea of all the best ways to make her day special. As most of my female friends and relatives are beauty mad, today, I thought I would focus on birthday ideas for beauty addicts. The good news is that when it comes to making a beauty lover’s birthday special, there are so many cute things that you can do. If it’s a big birthday - 16, 21 or 30, a party is an absolute must. And what better party to organize than a beauty themed one? This could be a dress up party or for a beauty product party. For the ultimate beauty party, having lots of products to try and professionals on hand to do tutorials is a must. Often, you can get professional beauticians and makeup artists to attend events for free. As by attending, they're receiving free advertising. Once you’ve got an idea of the type of party you want to throw, the next step is to pick a venue. While you could host it at your home or at the birthday girl’s home, a separate venue is often easier, especially if lots of people will be coming. There are plenty of places that offer party room hire, perfect for birthdays, so make sure to look around. 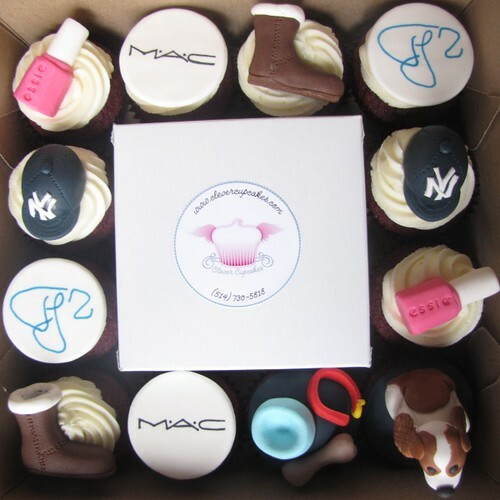 Oh, and don’t forget to order some makeup-inspired cupcakes for the party. If a party isn’t doable or it’s not a big birthday, how about planning a spa day? Get a group of the birthday girl’s closest girlfriends and organize a girly day at a local spa. Or better yet, plan a spa weekend. For anyone who loves beauty, a relaxing weekend at a spa being pampered is the perfect way to celebrate their birthday. It’s fun, relaxing and best of all, great for spending some quality time with the girls. The great thing about spa days is that you can get some fantastic deals if you look online (like Groupon). If, for some reason, you can’t help your friend or relative celebrate her big day, show her that you care by sending a hamper of beauty goodies. If you know her favorite brands, pick products from them for the hamper. If not, choose items that you’ve tried and loved. To bulk it out without overspending, order some free makeup samples to pop in the hamper. You can get these online or at your local beauty store. As well as adding beauty products, pop in some other bits and bobs. Things like cozy socks, a scarf, and some of her fave chocolates are all good choices. To make any beauty junkie’s birthday extra special, take note of the ideas above. Throw her a beauty party, head to the spa or send a beauty hamper, and she’ll have the best birthday.